You & Me | Dymps and Dimes. I am feeling myself just a little in this post. Just a little I said :). Choker - Topshop - I am loving the choker trend at the moment, it adds a dash of grunge to almost any outfit. Sunnies and Jumper - Both by Pull&Bear but sold on ASOS. I have to admit, I am a bit of a Pull&Bear newbie but boy do I wish I discovered them sooner ---my bank account doesn't!! 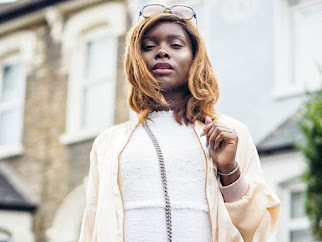 Camel Coat - This has been featured before in my 'Camel Coat Célfie' blogpost so make sure you check it out. Although it's spring, the weather is still pretty chilly so the coat was a necessary but fitting addition to the outfit. Rebecca Knee High Perspex Heel Gladiator' by Boohoo, they are that gorgeous. They are so daring and feisty, and I love daring and feisty. I also kinda feel like cinderella with the glass slipper, except these will be slightly harder to lose... £30 well spent i'd say.